Encontrei 108 Hotéis em . Escolha a data de entrada e saída para ver os hotéis disponíveis em . Sem informar as datas, os preços com (*) são preços médios de cada hotel e nos arredores até uma distância de 30 km. Located in Choiseuil, 20 minutes’ drive from Vieux Fort and the Hewanorra International Airport, Palm View Villa offers an outdoor pool. This self-catering accommodation features free WiFi. The apartment will provide you with a TV, a terrace and an iPod dock. There is a full kitchen with a microwave and an oven. Private bathrooms also come with a shower. You can enjoy the pool and garden views from here. At Palm View Villa you will find a lush tropical garden, a sun deck and barbecue facilities. The property offers free parking. Apartment Laniappe is located in Laborie and provides free WiFi access to guests. Free parking is included for added ease. This holiday home offers garden, mountain, or river views from the balcony, patio, and rooms. Private bathrooms include a bath or shower and the kitchen includes a refrigerator and and a microwave. A seating area and a TV are provided. There's plenty to do at Apartment Laniappe, including visiting the garden, barbecue facilities, and a shared kitchen. Other facilities offered at the property include grocery deliveries, ski storage, and an ironing service. Skiing, cycling, and horse riding are available onsite or nearby. This holiday home is located 4.3 km from Rudy John Park, 12 km from Independence Square, and 11.6 km from Hewanorra International Airport. Featuring a private pool, La Gampierre is a holiday home set in Laborie. It provides free private parking. There is a seating area, a dining area and a kitchen complete with a dishwasher, an oven and a microwave. Towels and bed linen are available at La Gampierre. Other facilities at La Gampierre include a spa centre and hot spring bath. You can play table tennis at the property, and the area is popular for snorkelling. You can engage in various activities, such as windsurfing and diving. St Lucia Hewanorra Airport is 6 km from the property. Mango Splash is located right on beautiful Laborie beach. It features a garden, comfortable furnishings and free WiFi. Hewanorra International Airport is 7.5 km away. This studio is is fully air conditioned and comes with a fully equipped kitchenette with a microwave, 2 ceramic hobs, fridge, freezer, electric kettle and toaster. The property offers free parking and the restaurants area is within 3 km away. Mango Splash is 14 km from Savannes Bay and 15 minutes’ drive from Vieux Fort Bay. Featuring free WiFi, L'escape offers accommodation in Vieux Fort. Guests can enjoy the on-site restaurant. Free private parking is available on site. All rooms come with a TV. Certain rooms have views of the sea or mountain. Each room is equipped with a private bathroom. St Lucia Hewanorra Airport is 9 km from the property. Beach House Mirage is located in Laborie Beach and features a sun terrace, stunning sea views and free Wi-Fi access is all areas. Hewanorra International Airport is 7 km away. The apartments offer a kitchen or kitchenette with a fridge, dining area and kitchenware. Private bathrooms also come with a shower. Extras include sofa, an outdoor dining area and a fan. Other facilities offered at the property include a tour desk. The property offers free parking. Guests can find a variety of restaurants 2 minutes’ walk away. The property is 5 km from Black Bay and 15 minutes’ drive from Anse Des Sables Beach. Set on a hill in Laborie, this apartment features free WiFi. Guests benefit from balcony. Free private parking is available on site. There is a seating area, a dining area and a kitchen as well as a private bathroom. Towels and bed linen are featured in this self-catering accommodation. The apartment is in its own secluded private garden with a gated entry. The apartment is only accessible by a steep walk up the hill. Car hire can be arranged at the property and the area is popular for snorkelling. Guests can enjoy various activities in the surroundings, including diving and fishing. 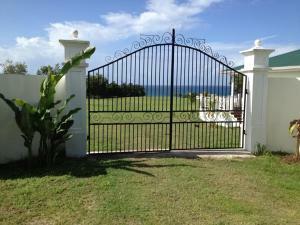 The nearest airport is St Lucia Hewanorra Airport, 5 km from the property. Featuring a terrace, Domaine Balembouche Holiday Home is situated in the Quarter of Laborie near Choiseul, overlooking the Caribbean Sea where you can enjoy beautiful sunsets. Free WiFi is featured throughout the property. You can fire up the barbecue for a tasty meal and enjoy the garden in fair weather. The kitchen is fitted with an oven and there is a private bathroom with free toiletries and a hair dryer. Free private parking is available at the holiday home. This 100 m2 Cottage with pure Creole style, is directly along the beach in the sunset, facing the Grenadines. Discover the authentic fishermen villages Creole with a hike in the rainforest and a swim under waterfalls. Enjoy a boat trip to discover the magnificent coves where you will constantly bask in the water or go diving, snorkeling with underwater wonders. Car hire is available at the property and the area is popular for horse riding and snorkeling. You can engage in various activities, such as windsurfing, diving and cycling. Situated in Black Bay, Fern Drive Rentals offers a garden and barbecue. Free WiFi is provided throughout the property. St Lucia Hewanorra Airport is 3 km from the property. Piton Vista Villa Apartment is a self-catering accommodation located in Choiseul, 22 minutes’ drive from the Hewanorra International Airport. Free WiFi access is available. The villa has air conditioning, a balcony and a patio. The equipped kitchen includes a microwave and an oven. The private bathrooms can either boast a bath or shower. You can enjoy the sea and garden views from here. The property also features free parking on site. Sapphire can be reached in a 10-minute drive, while Laborie Beach is 20 minutes’ drive away.